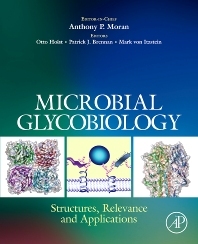 This book presents in an easy-to-read format a summary of the important central aspects of microbial glycobiology, i.e. the study of carbohydrates as related to the biology of microorganisms. Microbial glycobiology represents a multidisciplinary and emerging area with implications for a range of basic and applied research fields, as well as having industrial, medical and biotechnological implications. These researchers are trying to understand how certain microbial pathogens (protozoa, bacteria, fungi, viruses etc) cause disease in humans. With insights from microbial glycobiology new diagnostic methods can be designed to detect the infectious agent and also to determine if one bug is more virulent than another, thus, helping disease diagnosis. By determining the structure of glycosylated proteins, lipids and other natural products from microbes, researchers can reveal the location of the sugars. They then have the ability to modify and control which sugars are attached and exactly how they are attached. This is important as it enables them to modify glycosylated biomolecules that are important in disease processes and turn these into better drugs. Pharmacologists are using microbial glycobiology to produce carbohydrate-based diagnostics, vaccines, drugs and immunotherapeutics. From the insights gained of the enzymes used in the natural synthesis of the glycosylated molecules in microbes, manipulations using these enzymes can be made to synthesise newer glycosylated structures that can be used in therapeutics or for obtaining correct glycosylation of cloned human proteins used in biotherapeutics.